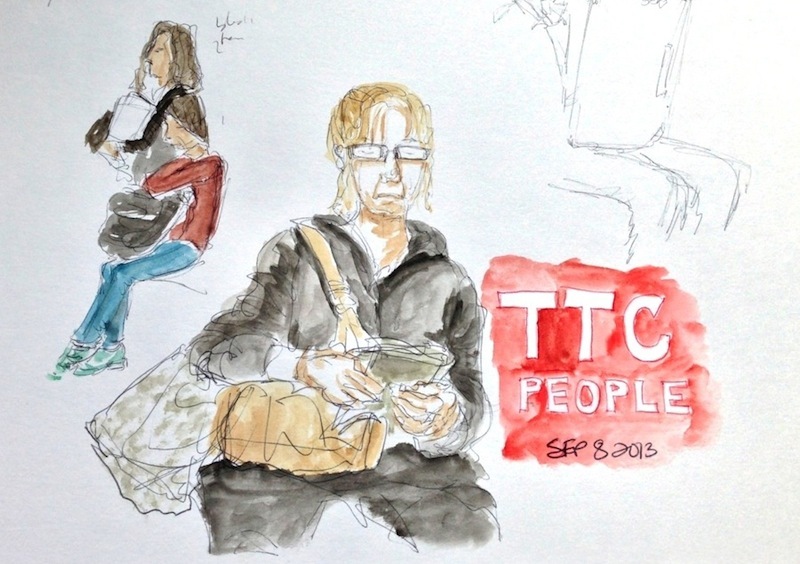 On my short ride back from a life drawing session sunday night, I drew some of the people in the subway. Most look really tired. It's interesting how drawing people in the subway teachers you to draw faster. The colours were added as soon as I got back home.